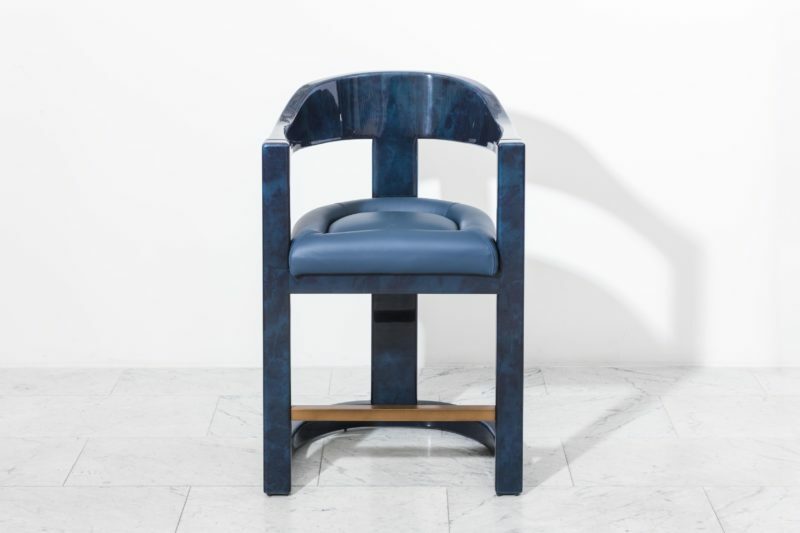 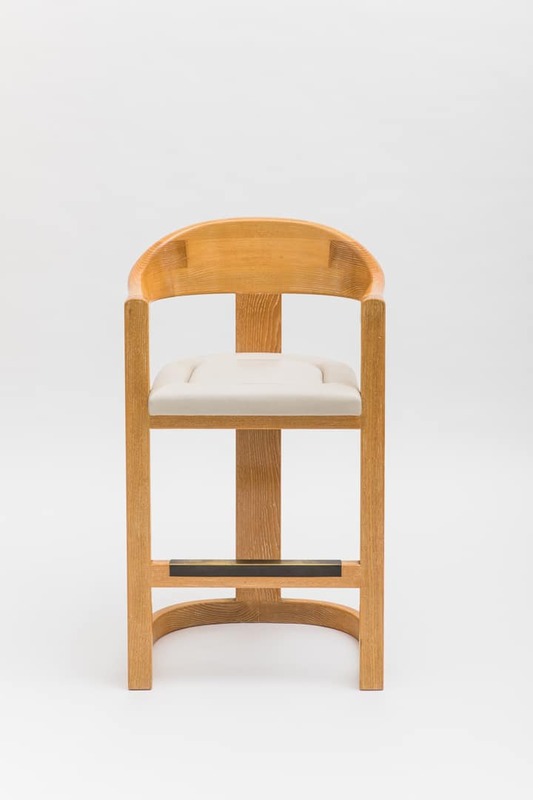 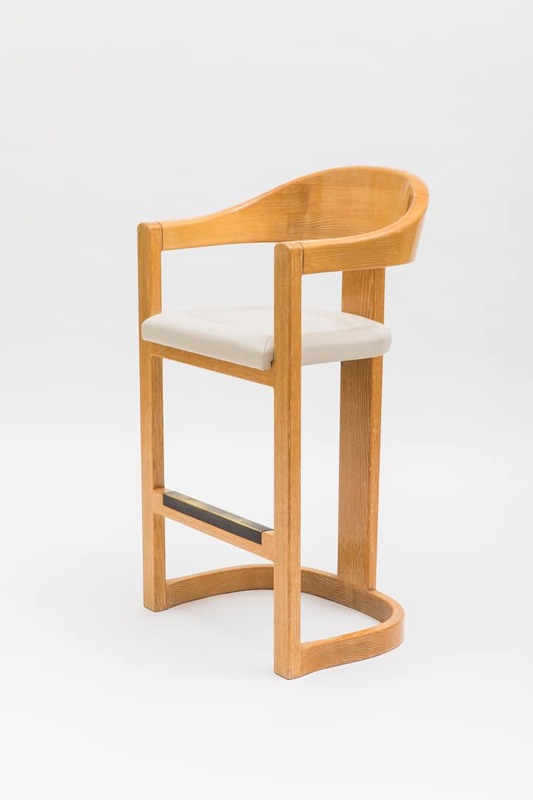 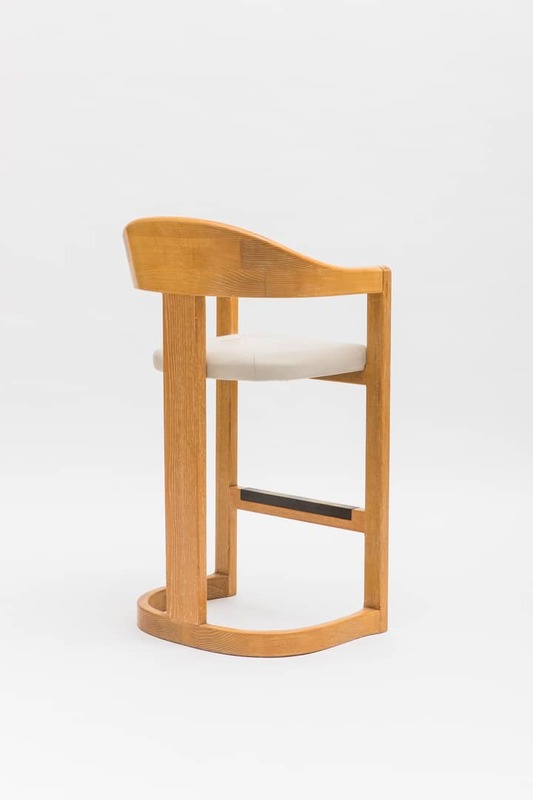 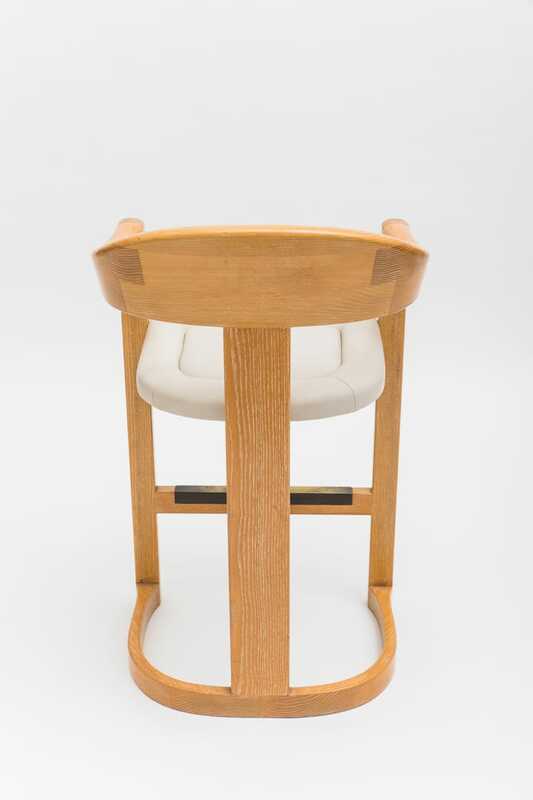 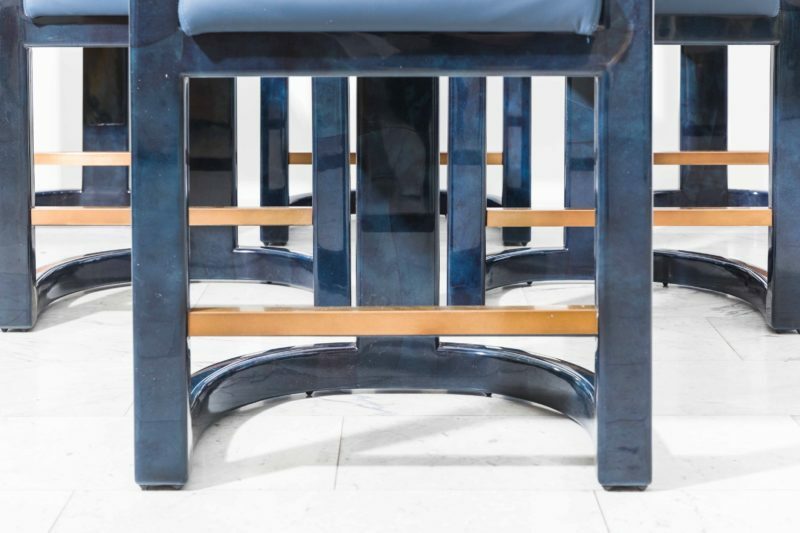 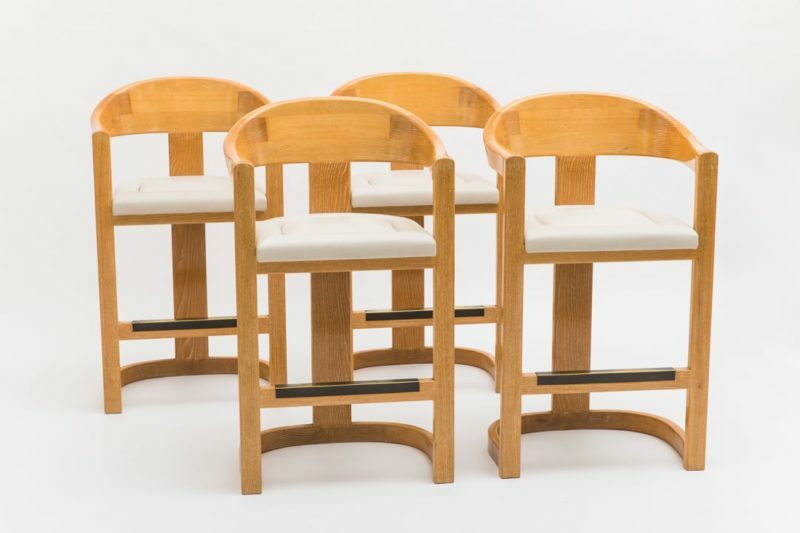 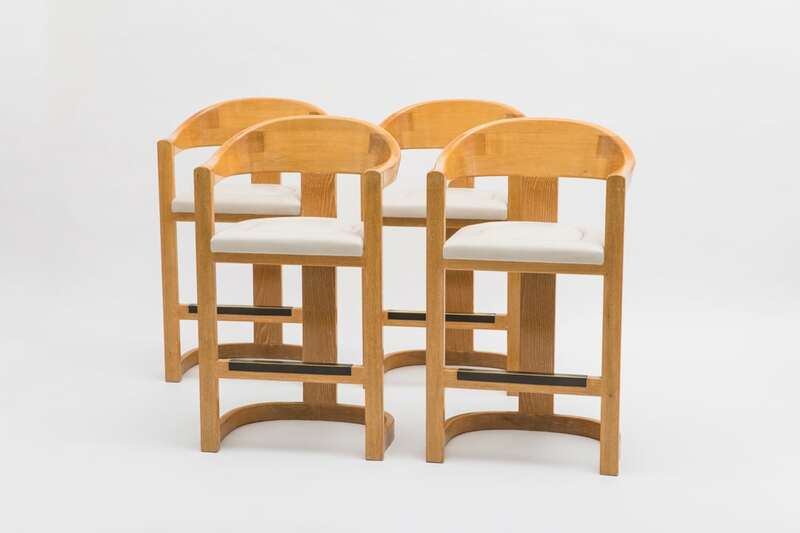 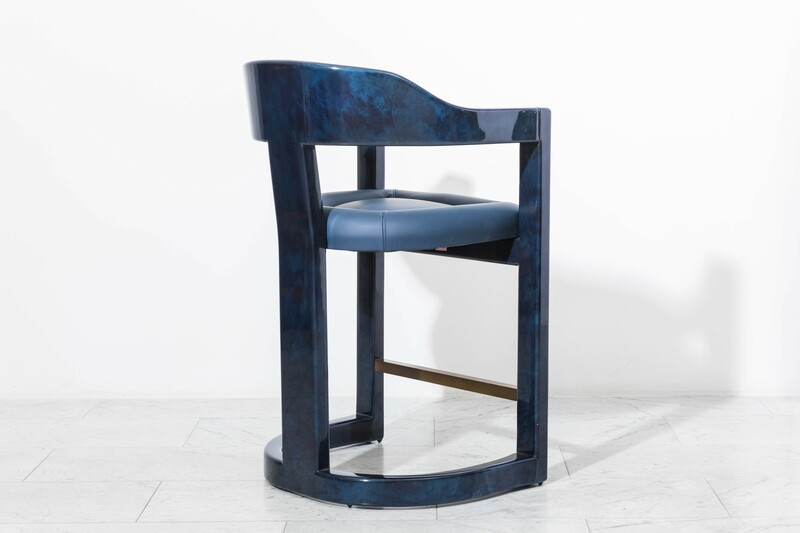 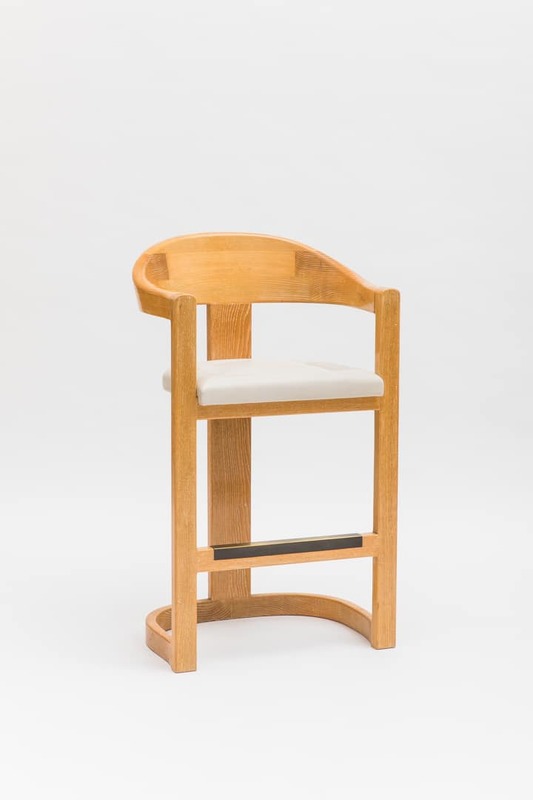 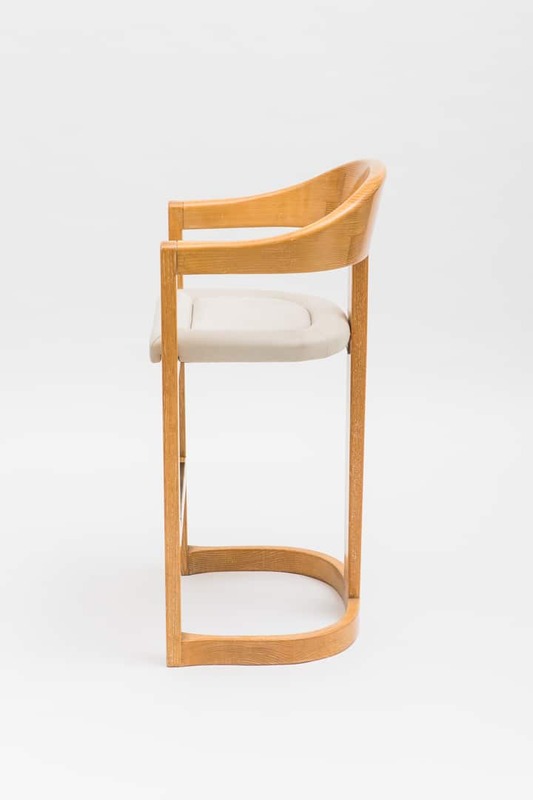 An iconic form by Karl Springer, the Onassis barstools are now available through Karl Springer LTD exclusively at Todd Merrill Studio. 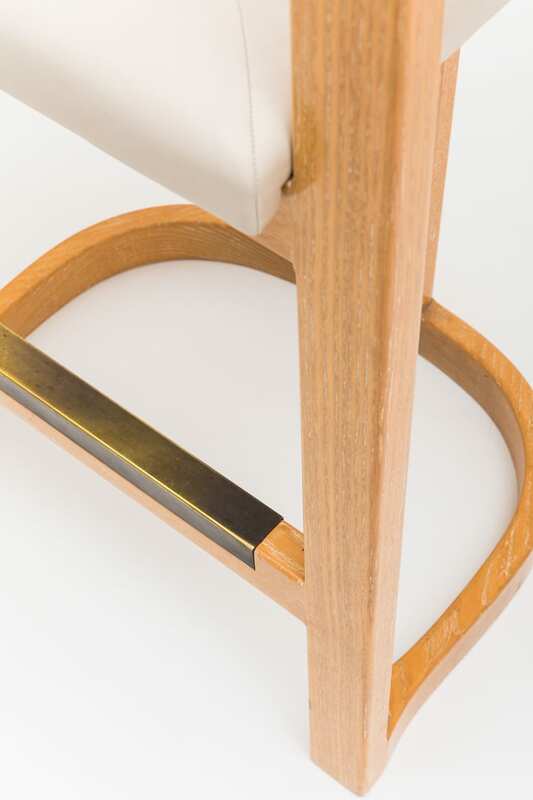 The stools feature a barrel back with semi circular arm rests that embraces the body and a bronze footrest. 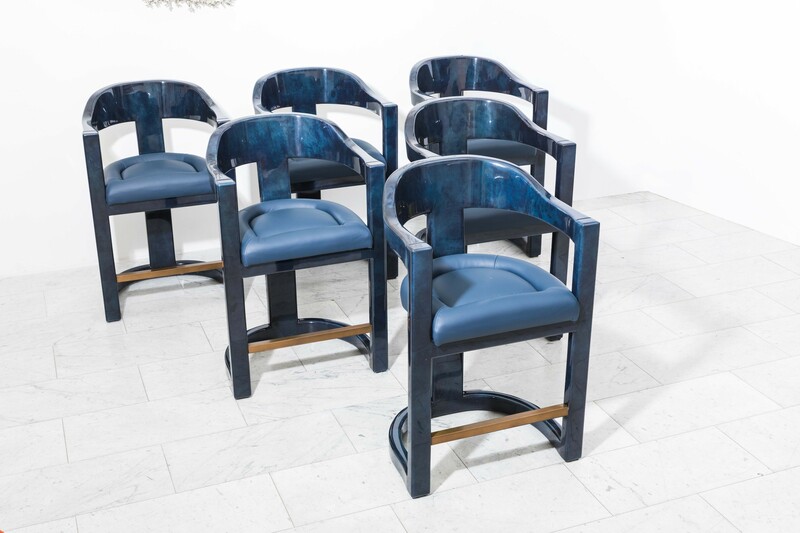 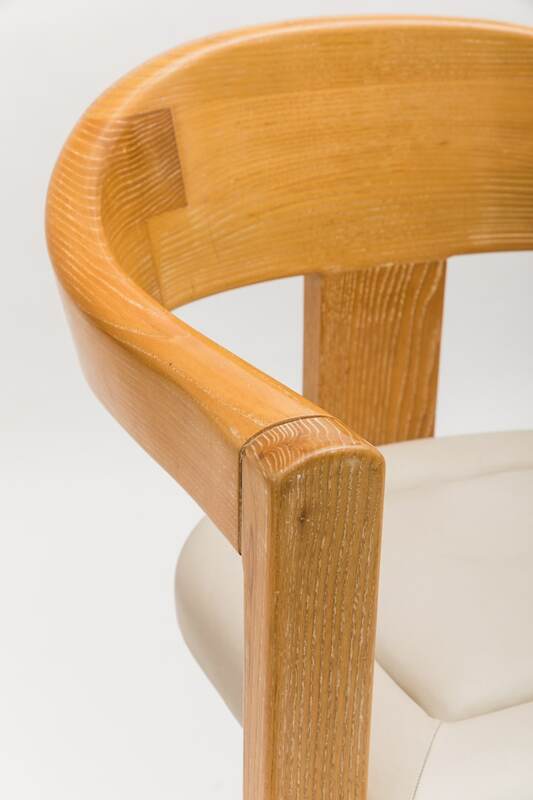 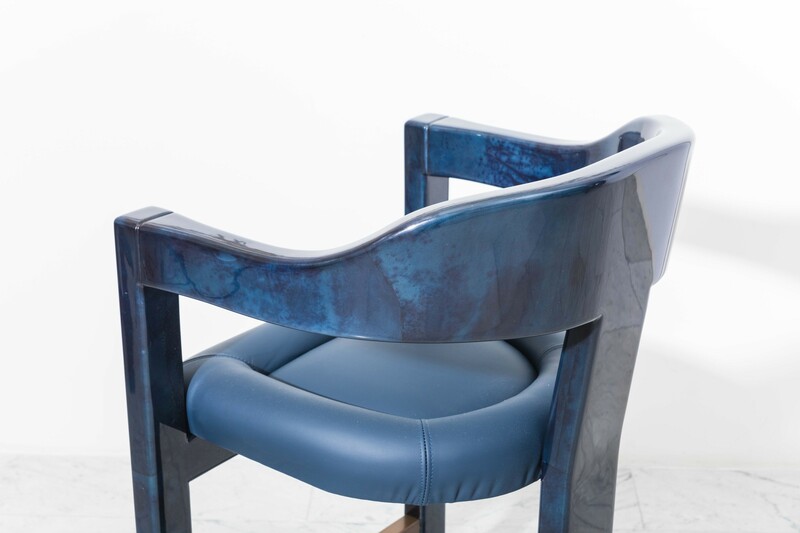 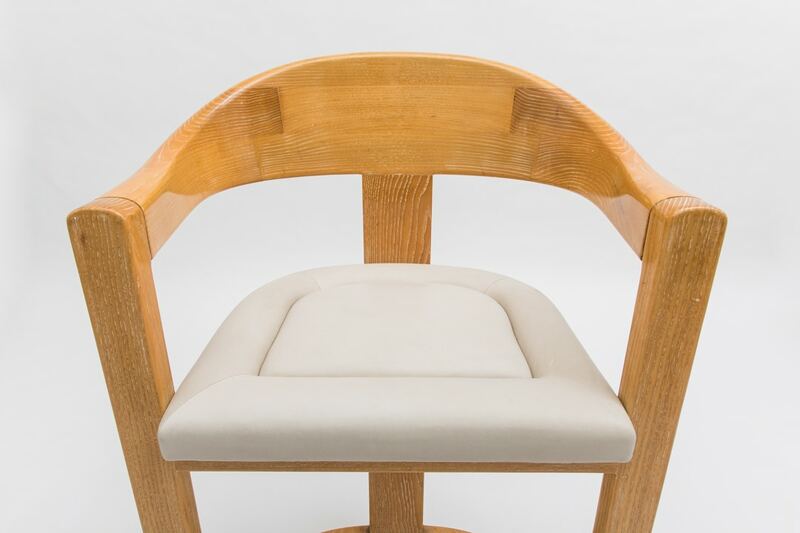 The chairs can be commission in a variety of woods including a range of colored lacquers. 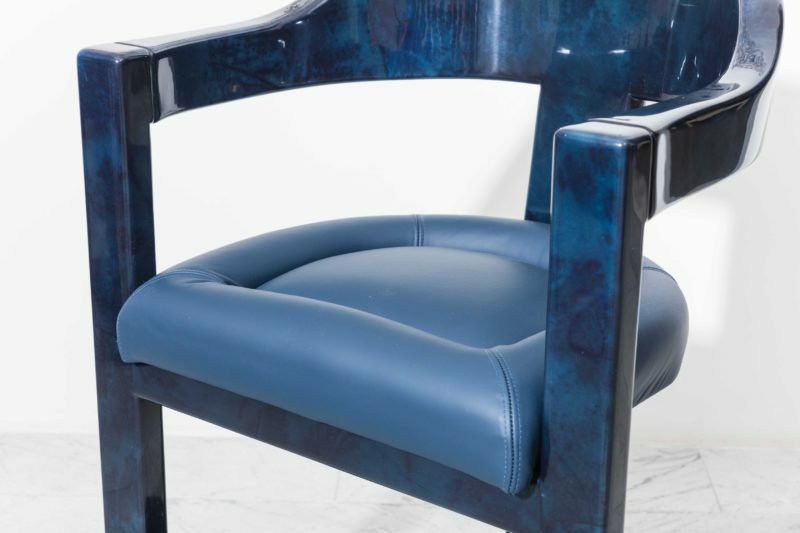 Upholstery is COM. 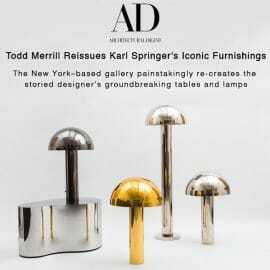 In partnership with Mark Eckman, President of Karl Springer LTD, Todd Merrill has curated a selection of Karl Springer’s most iconic designs to be reissued exclusively at Todd Merrill Studio. 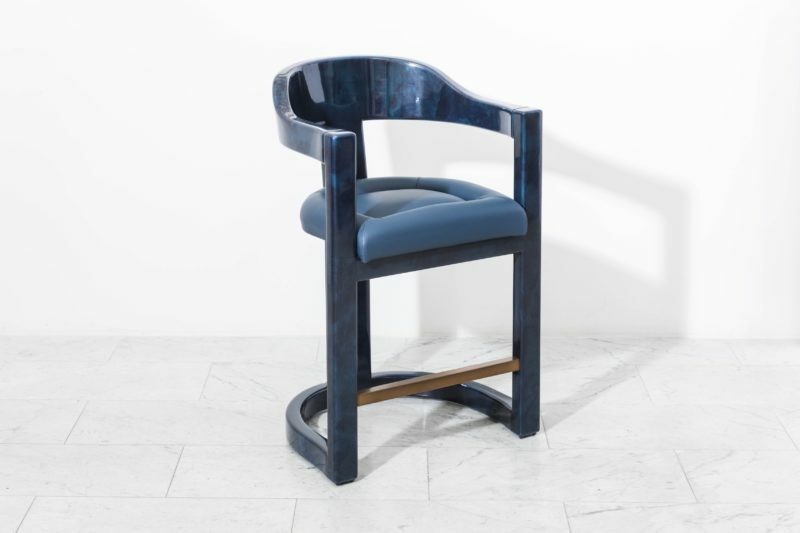 Though he based his designs on European classical forms, Karl Springer developed an irreverent and non-doctrinaire idiom of bold proportions, highly exotic finishes, and a sometimes flashy palette that identified him strongly with his American clientele. 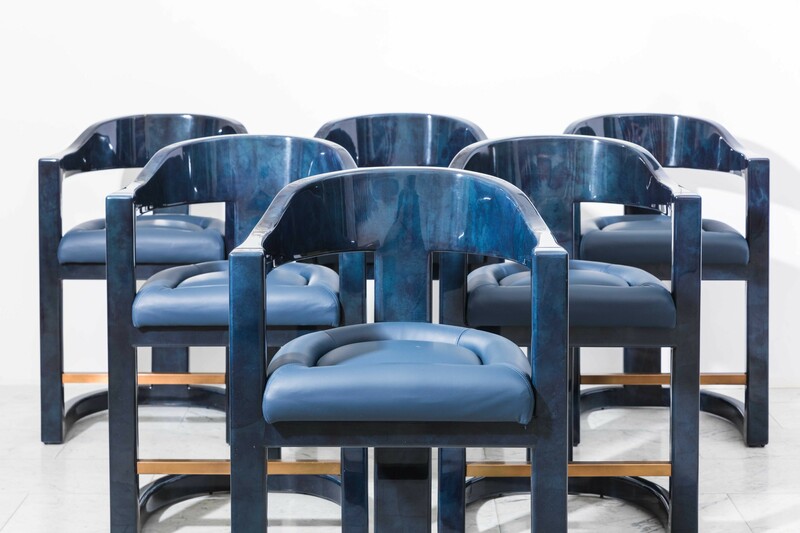 His work speaks with the confidence and energy of the Disco Decade and now finds new relevance in the world of contemporary design.